Devotaj Sacred Arts is rooted in Jewish women’s healing & spiritual practices, weaving them into the threads of universal spiritual practices. The Devotaj Sacred Arts Academy is not about learning a specific medium or spiritual path, but rather fully embodying the role of the sacred artist through four portals of practice. In the beginning, this will be through at-your-own-pace curriculum and later expanding into private community, online classes, and personal mentoring. Learn more and/or join the Academy through Patreon. 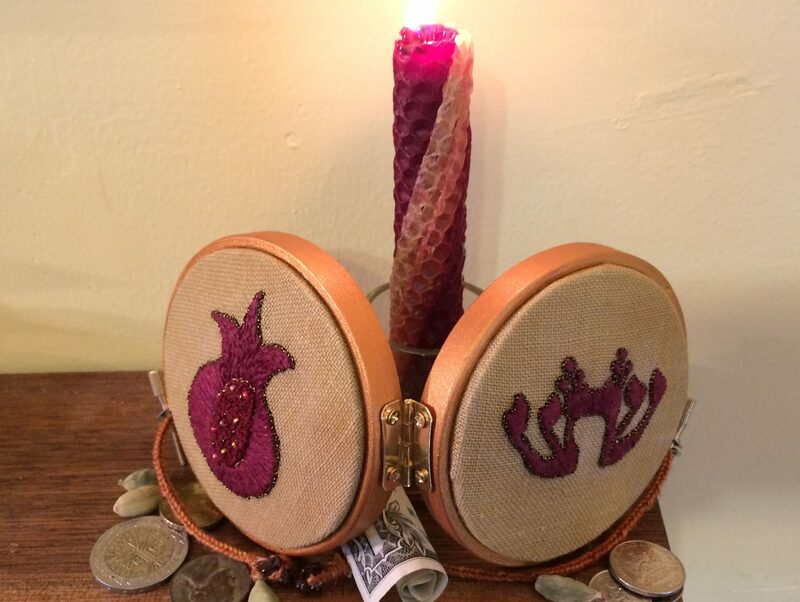 Kohenet Ketzirah HaMa’agelet (the Circle Maker) is a sacred artist creating modern amulets, shrines, and ceremonies inspired by the rich depth of Jewish history and traditions.